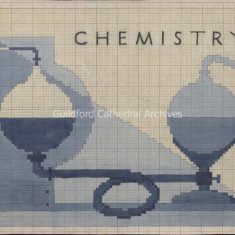 2 patterns for the Chemistry Kneeler, both on card. 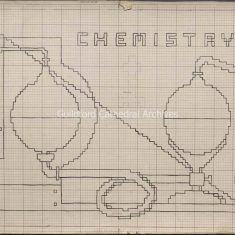 a) is a full watercolour design on squared paper, b) is a pen outline drawing on squared paper. 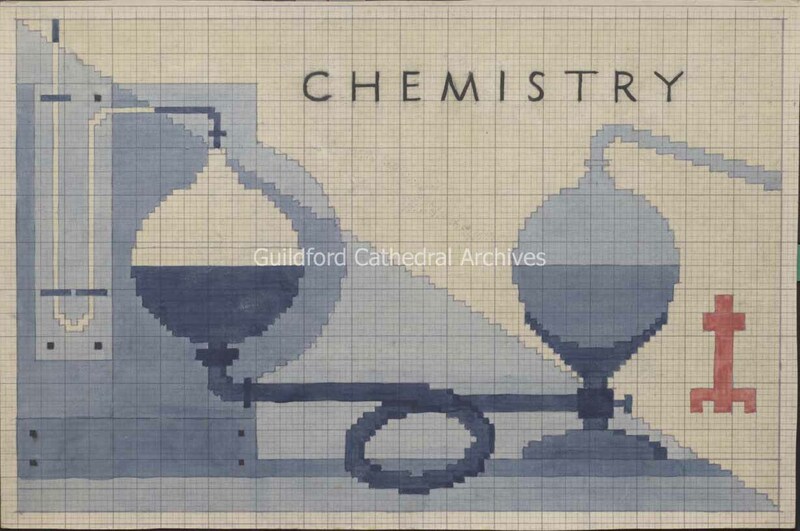 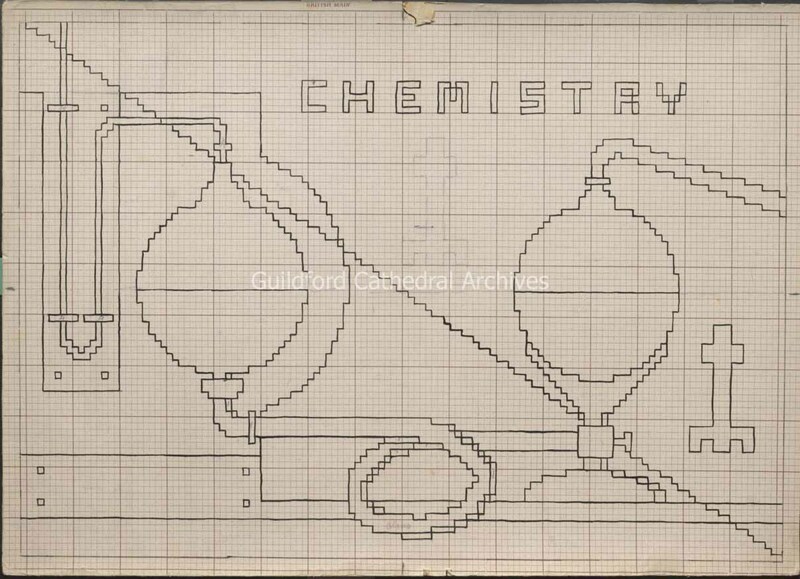 The design shows two round chemistry flasks connected by tubes, the word “Chemistry” at the top and the cathedral plan at the right.